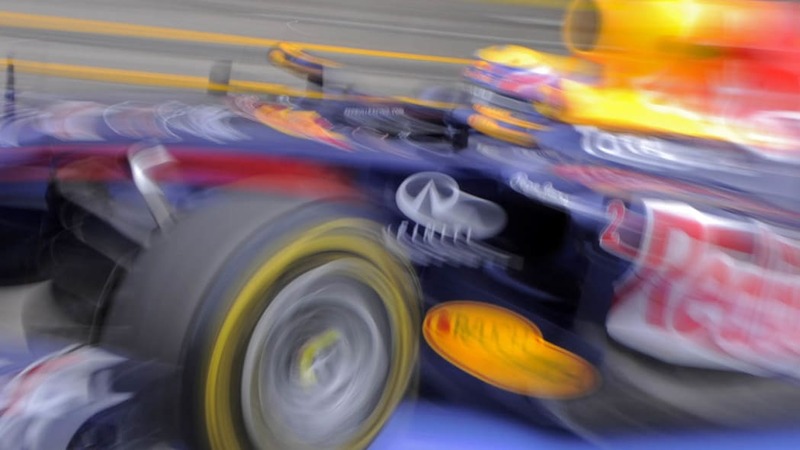 The 2011 Formula One World Championship, as it's unfolded so far, has been nothing if not smooth sailing for defending champion Sebastian Vettel and his Red Bull Racing team. 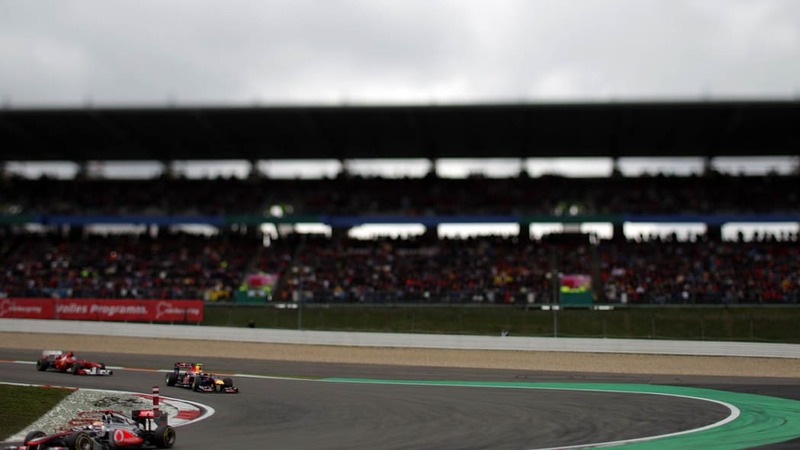 The young German has started every race so far this year from the front row and gone on to finish on the podium at each, winning six of the nine rounds that unfolded before this weekend. A lock for a repeat title, then? 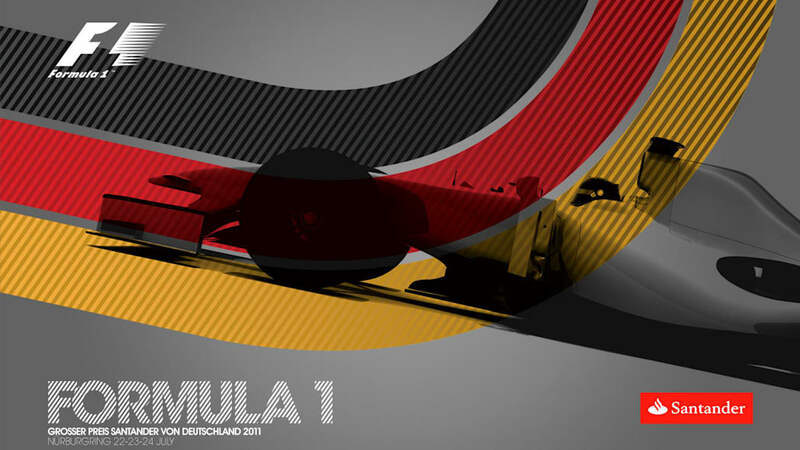 Not quite, because this weekend's tenth round in Vettel's home country of Germany represents the tipping point. As the midpoint of the nineteen-race season, it can all come together or fall apart for the defending champ from here on in. 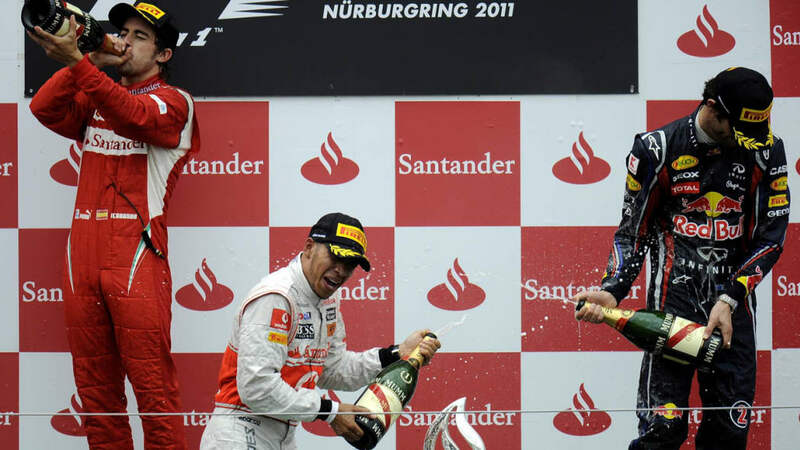 Follow the jump to see how Vettel and his rivals kicked off the second half of the year. 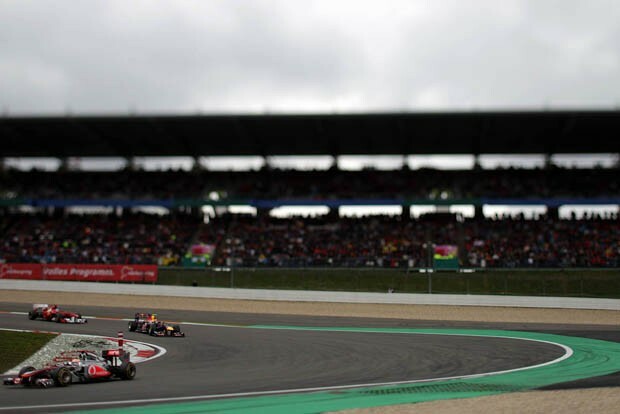 At no less pivotal a location than the Nürburgring this weekend, Sebastian Vettel was not only beaten to pole position by teammate Mark Webber, but for the first time this season, he was locked out of the front row entirely, as rival Lewis Hamilton qualified second. 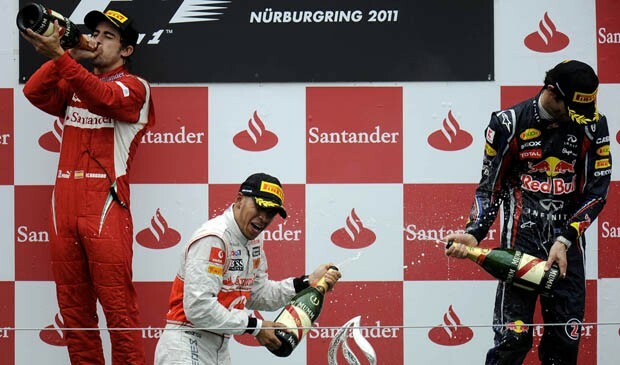 Vettel was relegated to third, with Ferrari's Fernando Alonso beside him in fourth and Felipe Massa in fifth. 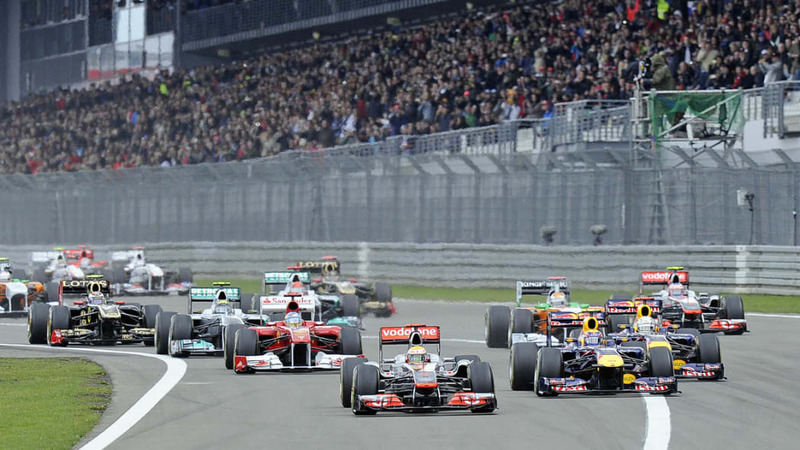 Mercedes GP's Nico Rosberg started sixth, McLaren's Jenson Button seventh, Force India's Adrian Sutil eighth, Renault's Vitaly Petrov ninth and Mercedes-Benz's' hometown hero, Michael Schumacher, rounded out the top portion of the grid in tenth. With all eyes on the contentious Red Bull pair, however, Hamilton squeezed by Webber heading into that first tight right-hander to take the lead at the start. 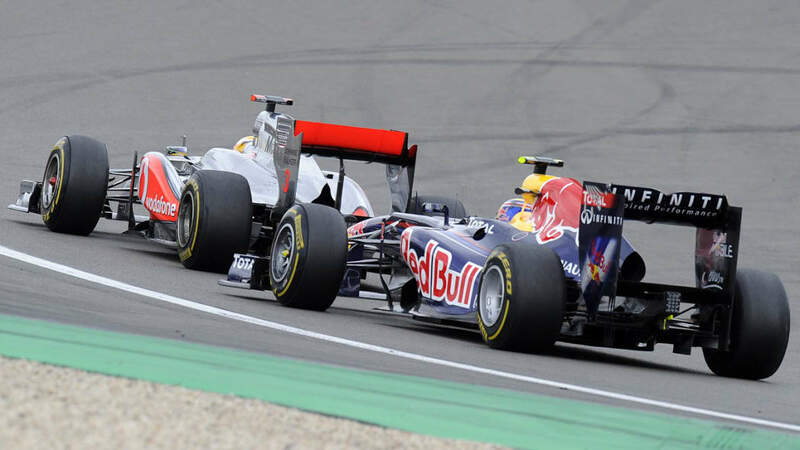 Behind them,Vettel fared no better off the line, losing third position to Alonso. Massa, in turn, was passed by Rosberg for fifth. 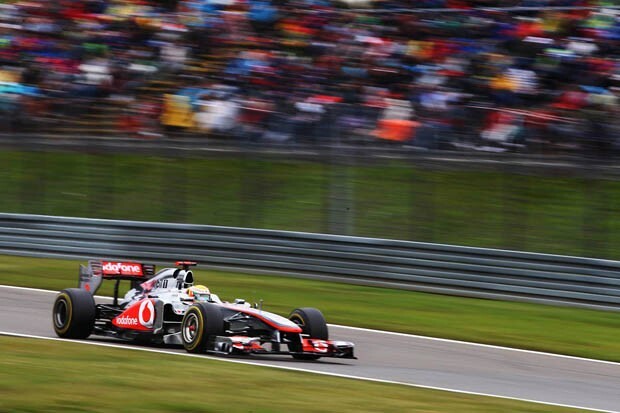 Further back, Button's bad luck turned worse as he dropped from seventh to ninth behind Sutil and Petrov. Force India's Paul di Resta, well schooled at the track from his DTM championship, collided with veteran Nick Heidfeld as both spun out and dropped to the back of the grid. The incident was blamed on the Renault driver. Meanwhile, Sebastien Buemi charged his Toro Rosso up the back of the field from 24th to 18th, gaining six positions at the start. 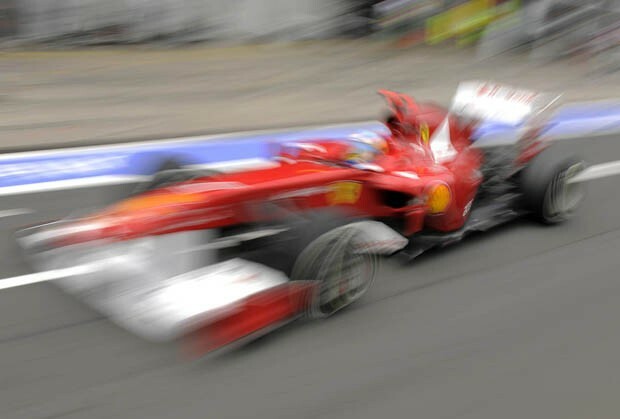 As the race got into full swing, Alonso ran wide to let Vettel retake third. 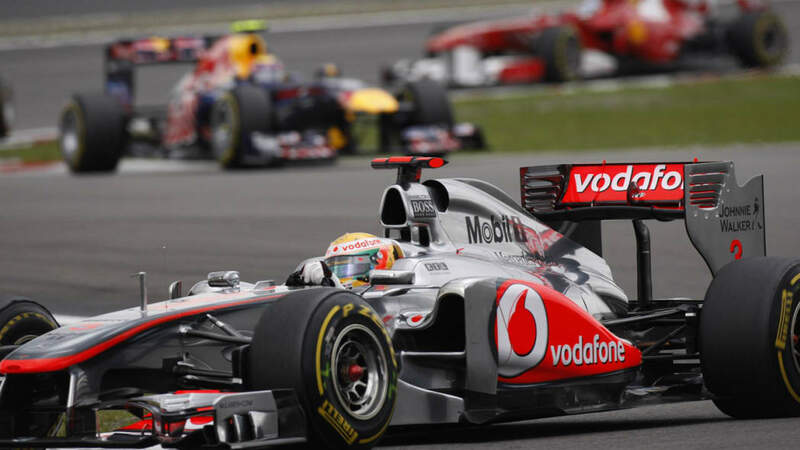 The two would later switch on lap 8, but not before Schumacher passed Button as close battles unfolded between Hamilton and Webber up front and Massa and Rosberg a few positions behind them. The drive-through penalty handed to Heidfeld for the di Resta incident hardly mattered, as the Renault driver's race ended when he tried to pass Buemi on the outside only to be punted off into the gravel. The direct effects of the DRS spoiler-flap could best be seen on lap 13 as Webber sailed past Hamilton on the front straight, only for Hamilton to retake the lead, as he had off the start, heading into turn 1. 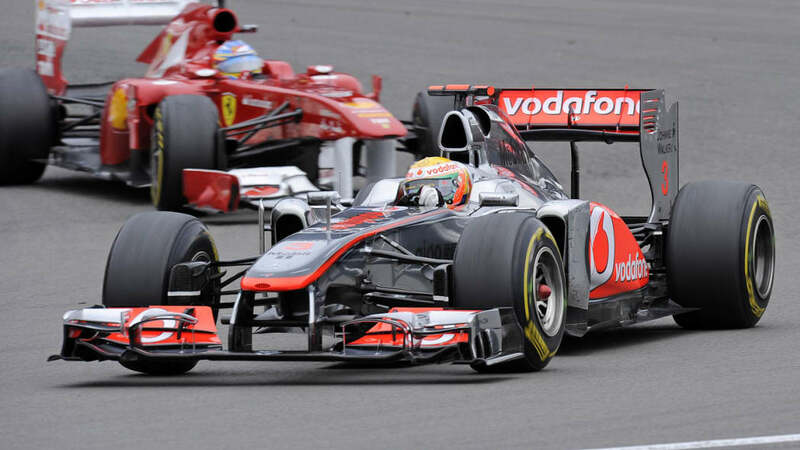 The battle allowed Alonso to close in, leaving the top three running less than a second apart. 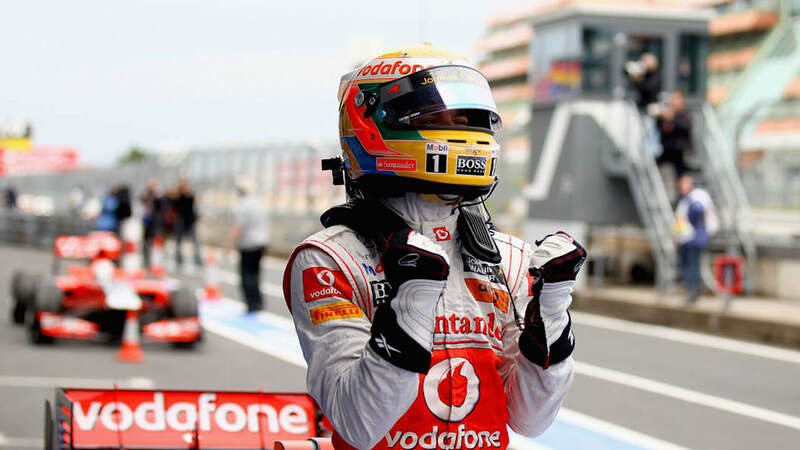 After the first round of pit stops were over, Massa got by Vettel and then both, along with the Mercedes duo of Rosberg and Schumacher, passed Petrov in a day that hardly shined for the Renault team. Schumacher then spun on lap 24, dropping two positions from ninth to eleventh. Exiting the pit lane from his second stop, Alonso rejoined just ahead of Hamilton, who promptly overtook the Ferrari in the first set of corners. 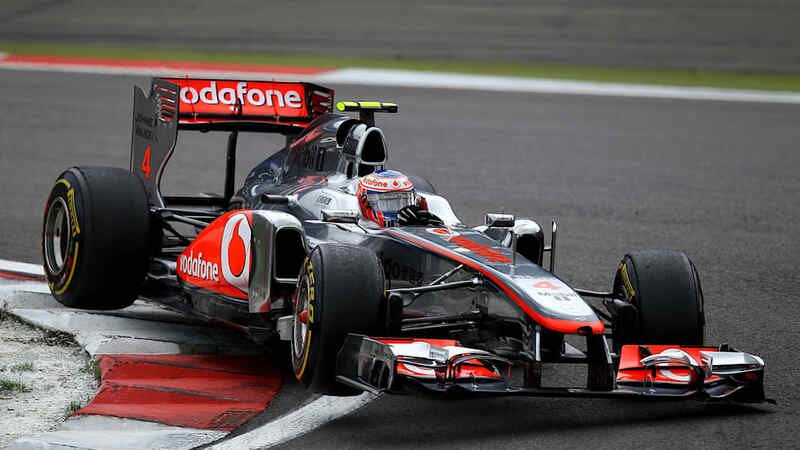 Jenson Button's disappointing weekend ended with a hydraulics malfunction; he retired n the McLaren garage on lap 36. HRT's Tonio Liuzzi followed five laps later. 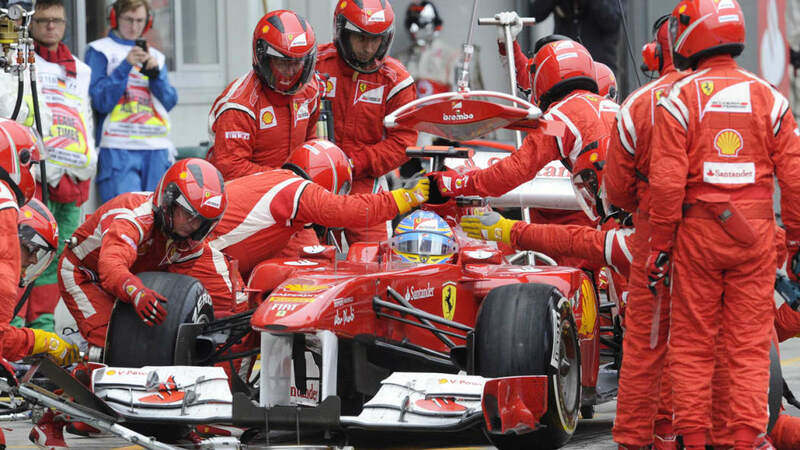 Late in the race, the leaders still needed to put on their harder-compound tires to satisfy the regulations. 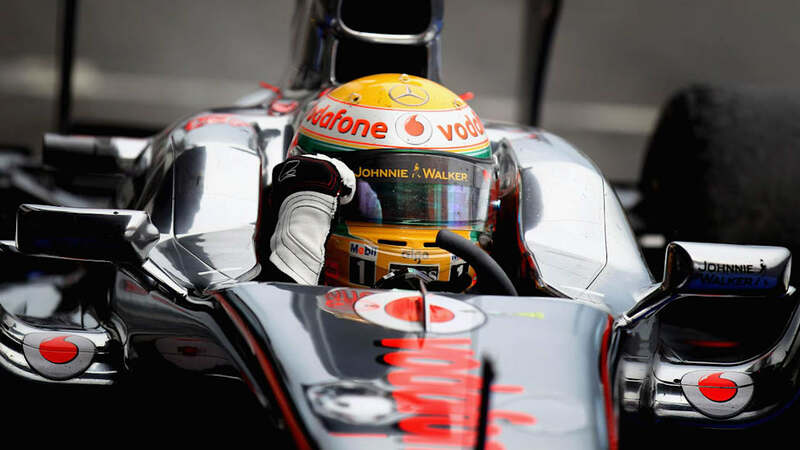 Hamilton pitted on lap 52, Alonso on 54. 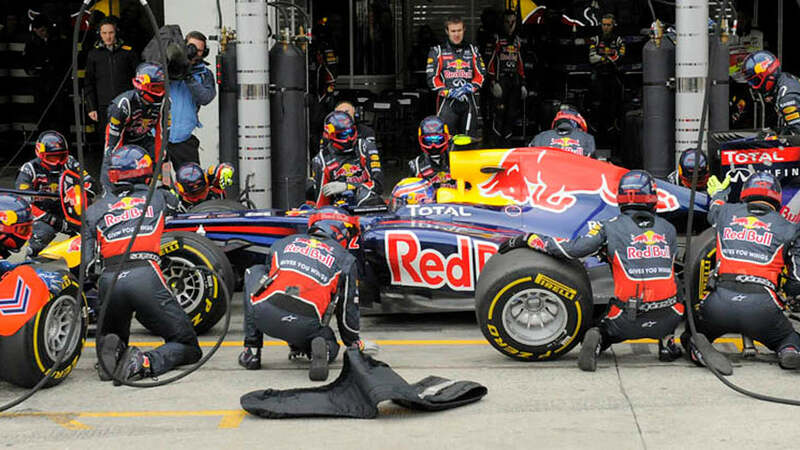 Webber tried to stay out a few extra laps, finally swapping rubber on lap 57. 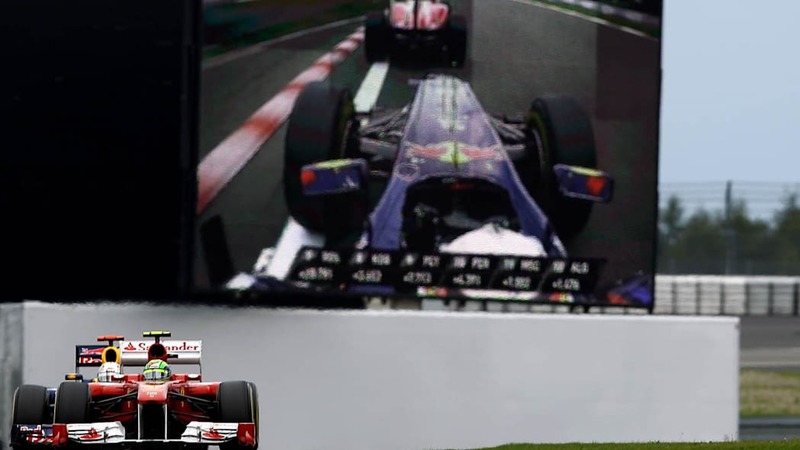 But as Vettel closed in on Massa, the two drivers, to everyone's astonishment, went in on the last nail-biting lap. A delay in the Ferrari pit box let Vettel slip by to take fourth place, the worst result for the defending champ so far this season. 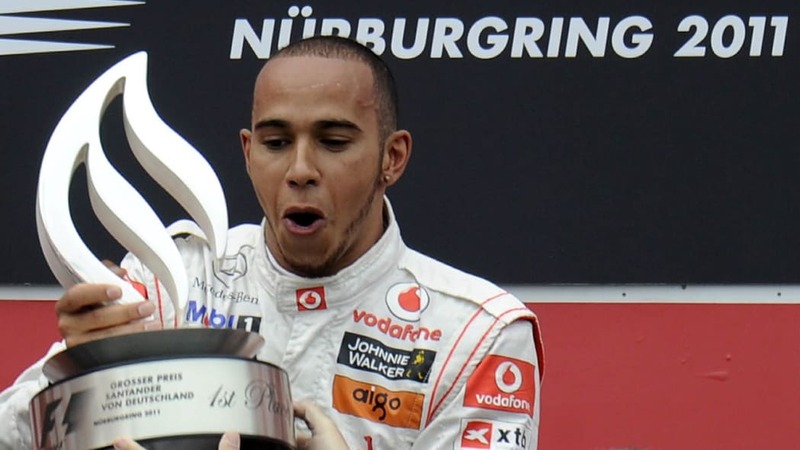 Atop the podium stood a jubilant Hamilton for the first time since Shanghai. 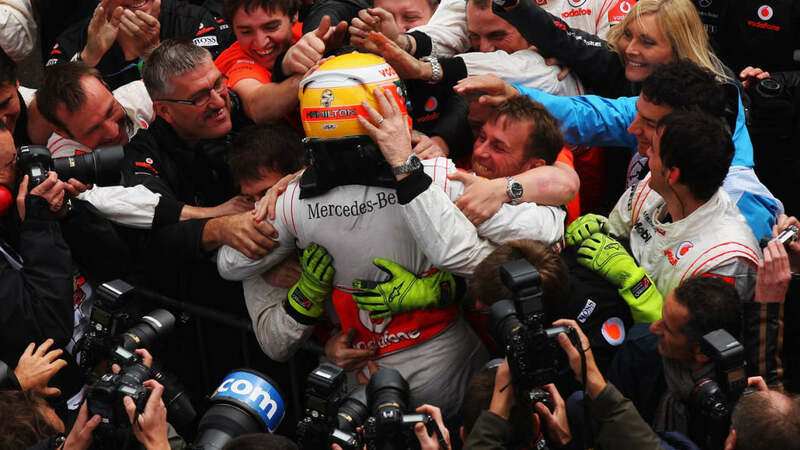 Alonso followed his last win with a solid second-place finish. 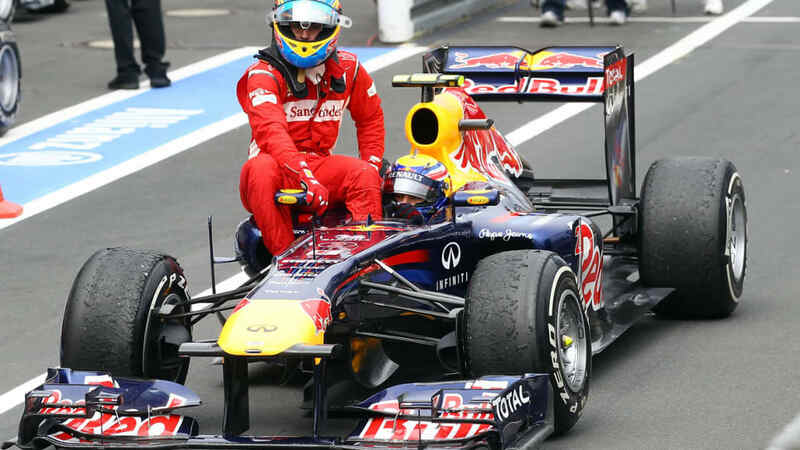 Webber outshone his favored teammate and took third. 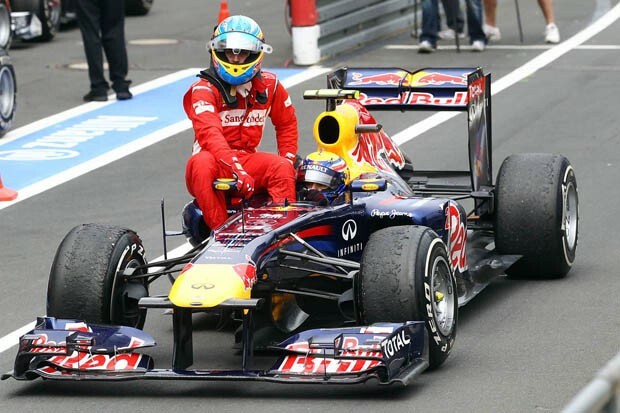 Alonso comically ran out of fuel on the cool-down lap, and rode to the podium by hanging onto the side of Webber's RB7. 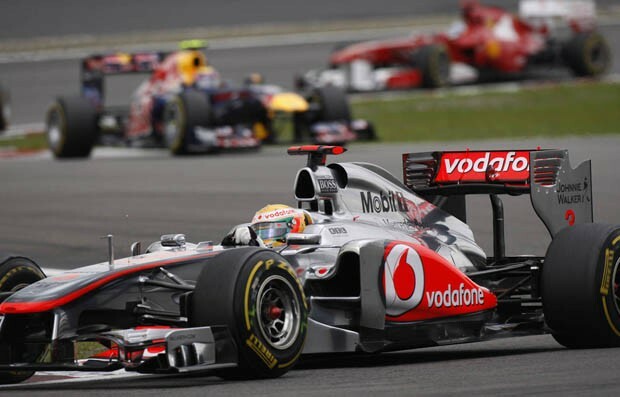 Behind Vettel and Massa, Sutil finished sixth, Rosberg and Schumacher seventh and eighth, Sauber's Kobayashi ninth and Petrov ultimately squeezed out the final point in tenth. 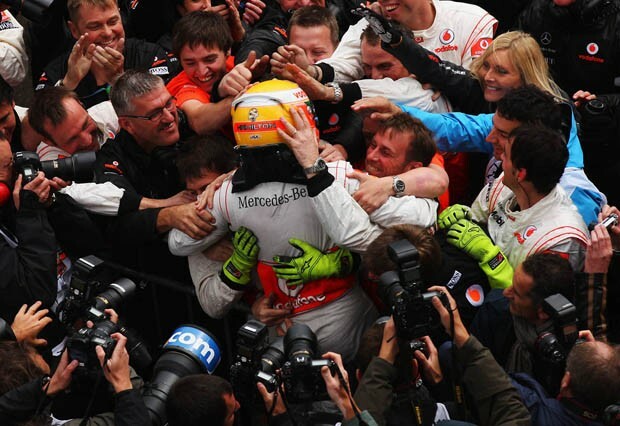 The results leave Vettel still firmly in the lead with 216 points to Webber's 139, Hamilton's 134 and Alonso's 130. 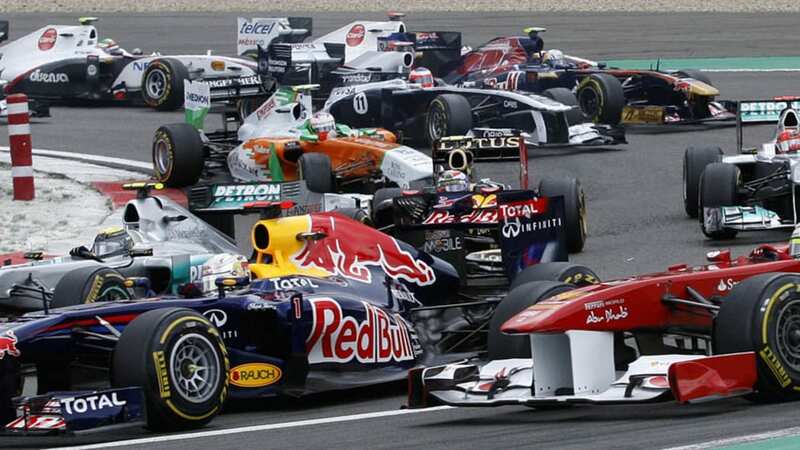 Red Bull retains a solid for the constructors' title with 355 points to McLaren's 243 and Ferrari's 192. 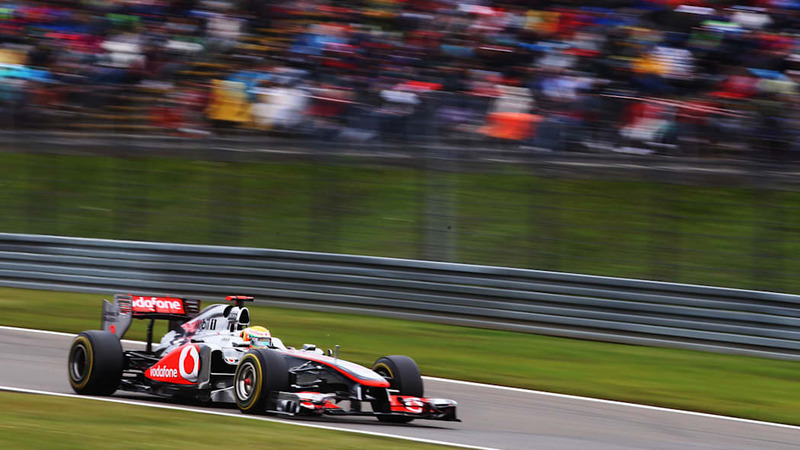 The circus crosses through Austria and into Hungary for the Magyar Grand Prix next weekend at the Hungaroring. Watch this space to see if Vettel can get his groove back or whether we're looking at the start of a new world order.